May 05, 2019 at 02:00p.m. - May 05, 2019 at 04:30p.m. Join us in the Main House for an elegant afternoon of decadent treats, sparkling wine and tea. 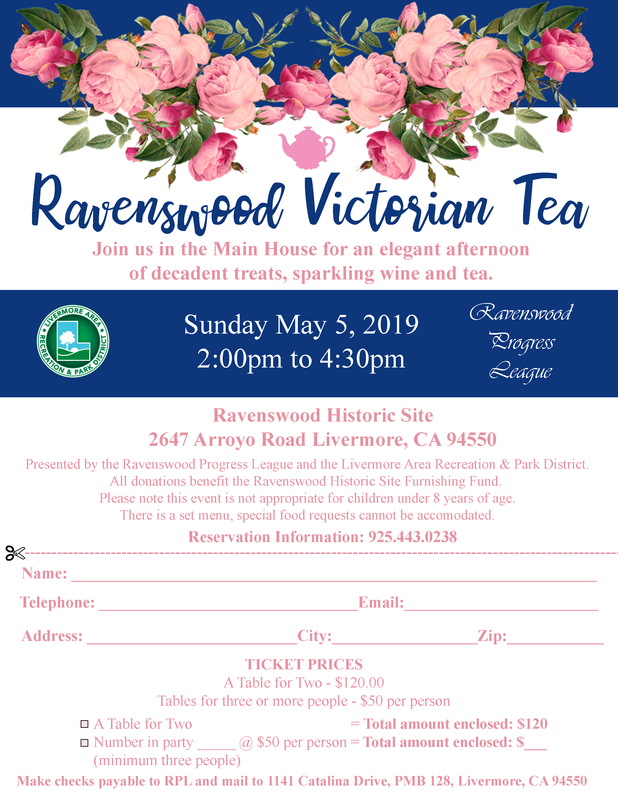 Presented by the Ravenswood Progress League and the Livermore Area Recreation & Park District. All donations benefit the Ravenswood Historic Site Furnishing Fund. Please note this event is not appropriate for children under 8 years of age. There is a set menu, special food requests cannot be accommodated. Please call 925-443-0238 for reservation information.